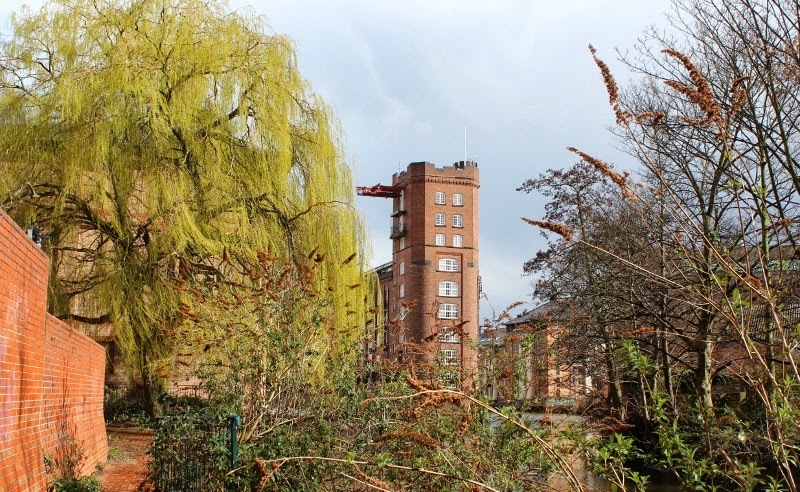 The building is all that is left of Leetham's Mill which was once the largest flour mill in Europe. Built in 1861 it was sited on Wormalds Cut to allow delivery by boat of the grain needed in the mill. Now known as Rowntree Wharf it houses offices and flats and would be my site of choice for a city centre apartment. Makes me wonder what happened to the flour industry such that Leetham's Mill passed out of existence. I'm guessing it had something to do with railroads and rivers. The mill was sold to Splllers in 1928 . Leetham having committed suicide a year earlier never having got over the death of his wife. It does look like an appealing place to call home!